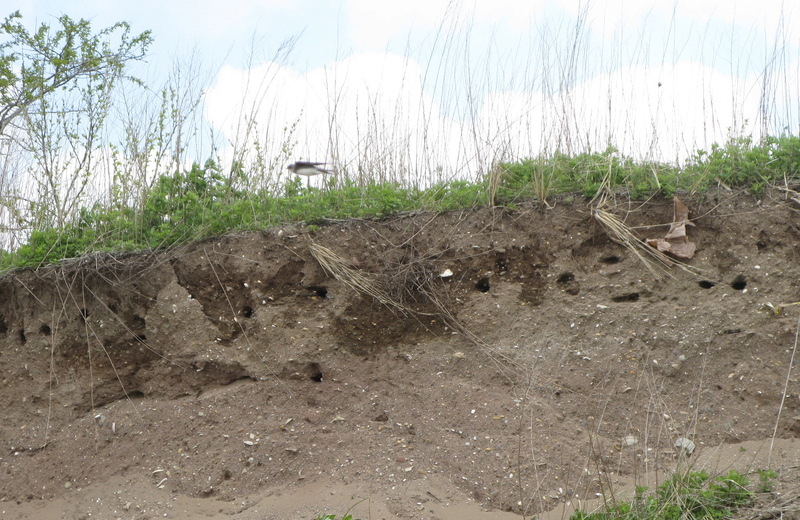 We went out to Prince’s Bay on the southwestern shore of Staten Island to look at the Purple Martin Colony at Lemon Creek Park. 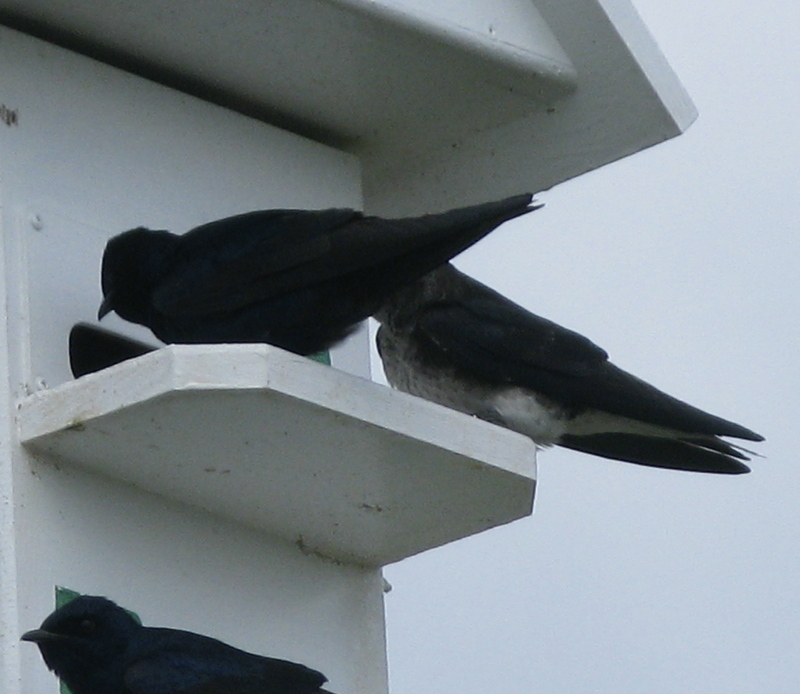 Purple Martins (Progne subis) are our largest swallow. On the East Coast, they pretty much nest exclusive in colonial human-made “houses,” which are usually patterned like little human mansions, or, this being NYC, “luxury” condos. 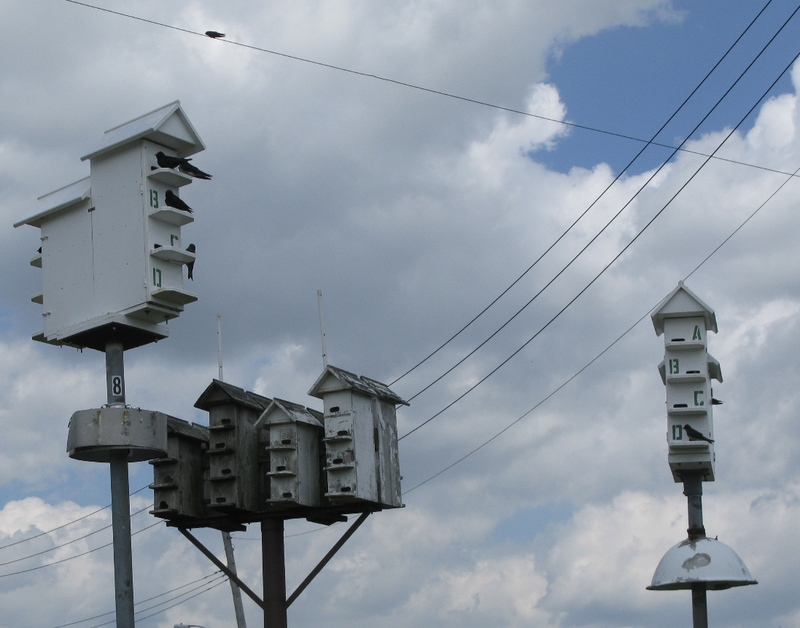 They were one of the species hit by a double whammy of the eradication of old growth forest, with its ample supply of old woodpecker nests, which the Martins would recycle for nesting, and the introductions of House Sparrows and European Starlings, both aggressive cavity nesters that take over likely nesting holes. At cross-purposes, some idiot leaves large piles of cat food right next to the colony for the feral cats, and, inevitably, the rats and raccoons, all of them a serious threat to birds, eggs, and in this case, the young Martins who might happen to land on the ground on their first flights. Tom, you should write about that Staten Island of the mid-century. “Manniz Hahrba,” indeed.